Google Maps is becoming handy day by day that as announced, it is now testing the integration with Uber that you don’t even need to leave Maps to book your Uber ride and pay for it. Once you sign in with existing or create an Uber account, you will be able to see a real map with local drivers in your area moving around in real-time, track your driver, and connect with them too. Ten on Ten for user experience, no doubt! Earlier it was already providing you a price estimate and linking you to the app, so eventually, you were ending booking a ride on the respective app, not on Maps. As Google calls it the ride services section of Maps, it has been given a makeover with the latest update which is rolled out today on Android and iOS, both. You will be able to access the complete range of ride options as well as the promotional offers if there’s any. All you need to tap on the preferred cab provider. In short, Maps is now more accessible. Google is always known for the comfort, convenience and ease of access and with it, it finds a stream to generate revenue without asking any money from their users. By the way, have you got Google Trips in your phone yet or not? If not, get it now, and see the potential in-built. 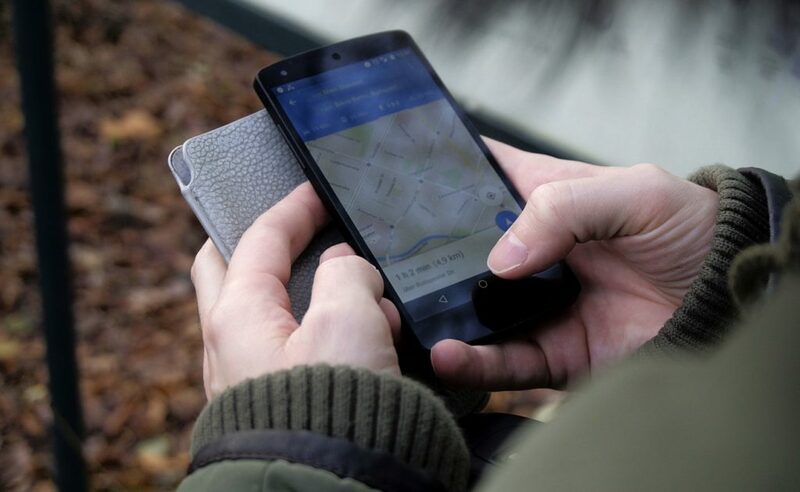 Coming back to the point, Maps is not limited to this feature only rather Google will also guide you to your destination providing the particulars such as hours, menus, photographs and what more you ask for. Undoubtedly, Google is making the process way easier to hail an Uber cab when we know the automobile industry is about to be disrupted.